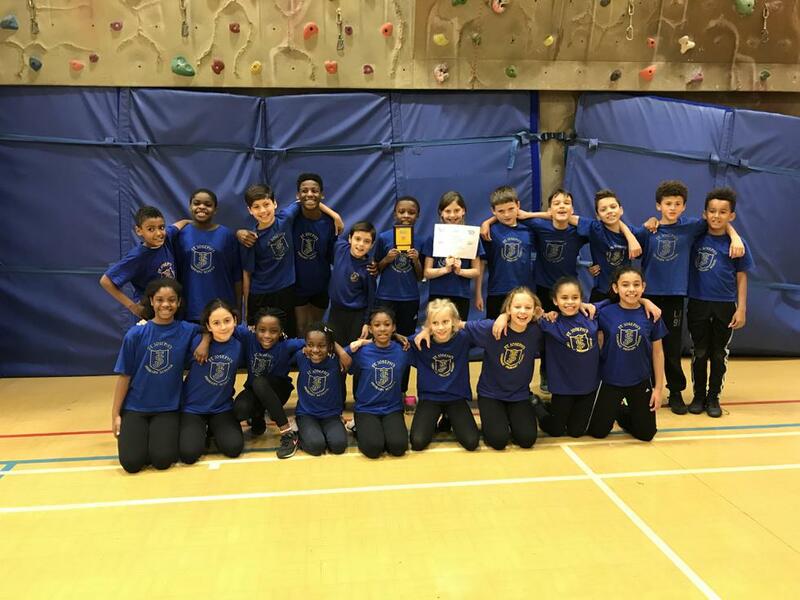 St Joseph's sportshall athletics team competed in the Kingston borough qualifier on Wednesday 29th at Chessington Community College. The team which consisted of 22 children had been practicisng since September for this event. They had been working extremely hard on different field events, ranging from triple jump to Javelin. They also put in lots of practice on changing the baton over safely and quickly during relay races. It seemed the hard work and desire to do the best they can paid off, as Team SJP managed to come 1st in their qualifying event beating 6 other schools along the way. The event was very competitive with lots of races being won by the smallest of margins, every raced counted and the teamwork displayed by St Joseph children was amazing. After a busy afternoon of over 20 different events the scores where in. Everybody came together to hear the results. As the results where read out it was clear St Joseph's had done very well. It was only a matter of either 1st or 2nd. The difference between 1st and 2nd couldn't have been any closer and fortunately for us we managed to pip Lovelace by 2 points the equivalent to one position in a race. Well done to all the team and the hard work now begins for the borough finals after Christmas. We have had 3 5 7 8 9 visitors!